How does Near-Infrared (NIR) Technology work? NIR is a highly flexible form of analysis, which can be applied to a broad range of research and industrial process applications. Long a staple technology in remote sensing, NIR reflectance spectroscopy has become popular within industrial markets as a cost-effective tool for measuring materials to optimize processes and manage costs. 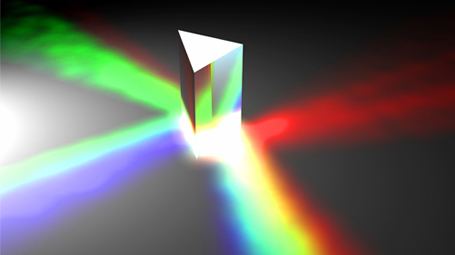 NIR reflectance spectroscopy is a method that makes use of the near infrared region of the electromagnetic spectrum (from about 700 to 2500 nanometers). By measuring light scattered off of and through a sample, NIR reflectance spectra can be used to quickly determine a material’s properties without altering the sample. NIR converts measured data into actionable information to help optimize processes or improve research. Capable of examining irregular surfaces with the same ease as a carefully prepared sample, NIR is non-destructive, and requires little or no sample preparation. It can also be used to analyze multiple constituents in a single scan.